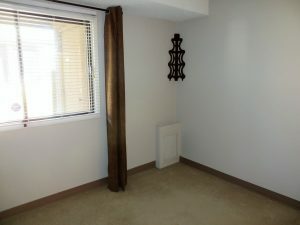 We have available for immediate occupancy a ground floor Prairie Ridge coach home: #102 – 457 Pendygrasse Road. 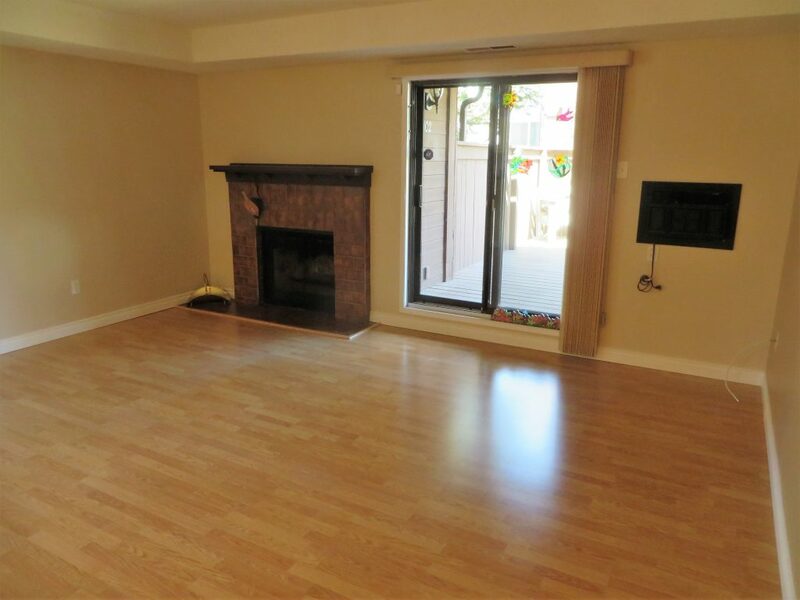 This property measures 1055 square feet of very well utilized floor space. When you come in the front door you will find a good sized closet for hanging your coat and storing your boots. 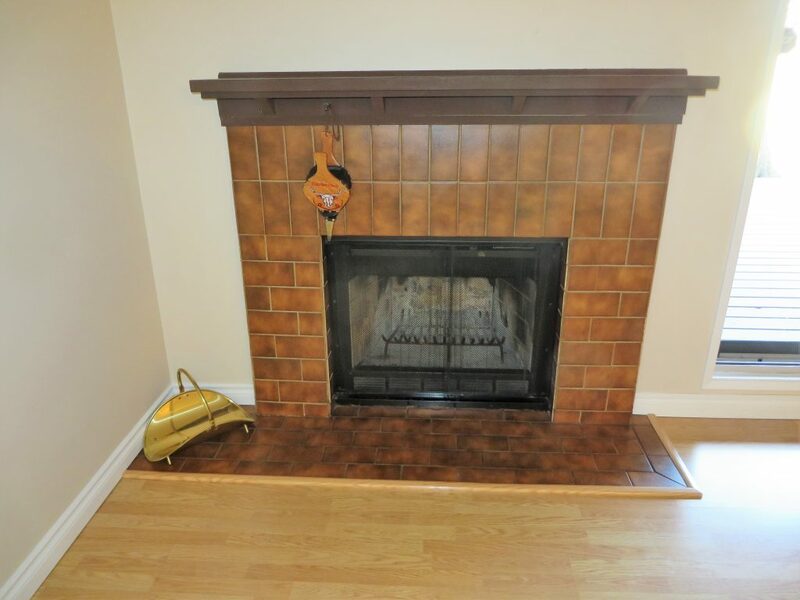 Then immediately in front of you and to your left is a very large open living room, measuring approximately 16 feet by 15 feet, featuring a wood burning fireplace, laminate flooring, a wall mounted air conditioner and patio doors out to a large partially covered East facing deck. 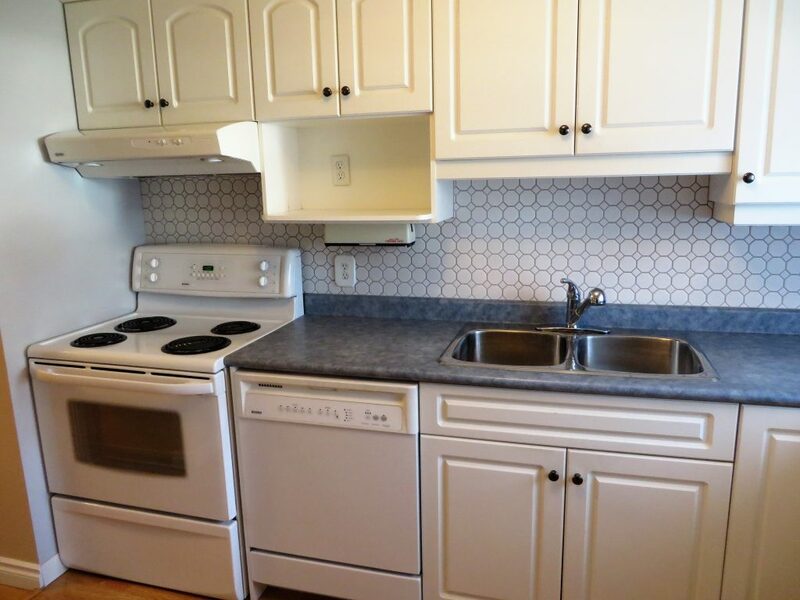 On the opposite side of the living room we have an upgraded kitchen (10’5″ x 8’7″) featuring newer white heritage cabinets, a blue arborite counter top, a large window looking into the courtyard and matching white Fridge, Stove, Hood Fan and Dishwasher. 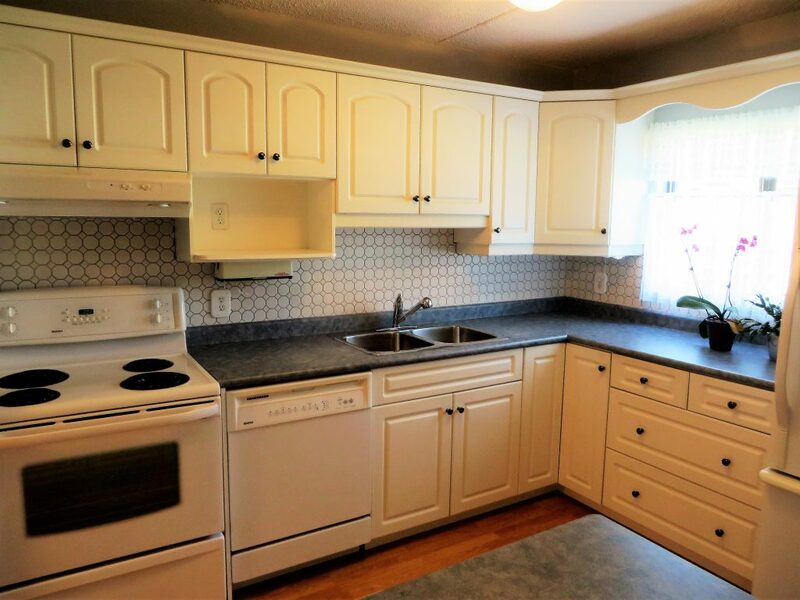 This kitchen has an abundance of cupboard space and includes an island with pull out drawers ideal for pots and pans. 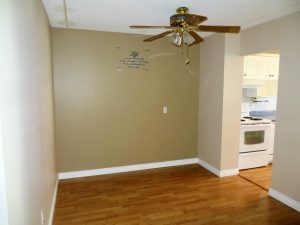 Adjacent to the kitchen is a large dining area (9′ x 8’6″) featuring laminate flooring and an overhead ceiling fan. 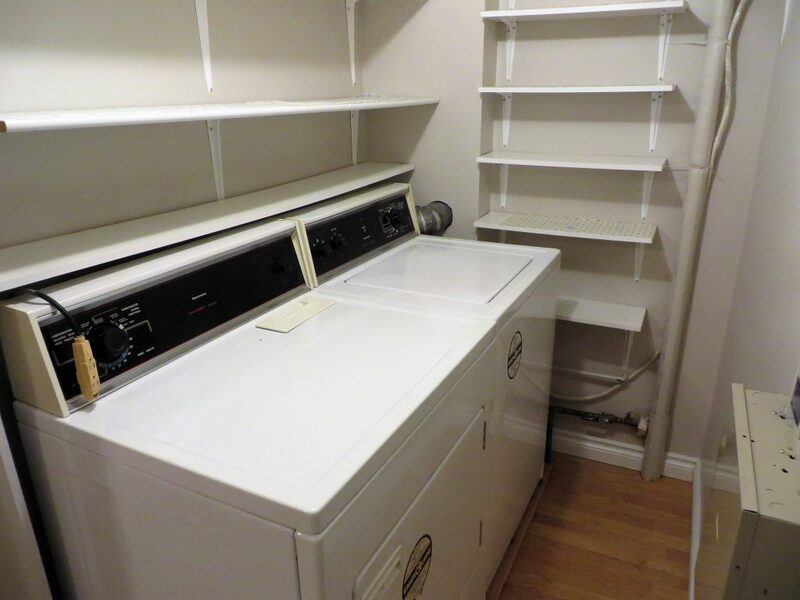 As you move down the hallway on your right hand side we have a large in suite laundry room, washer and dryer will remain, with additional storage space for an upright freezer or pantry items. 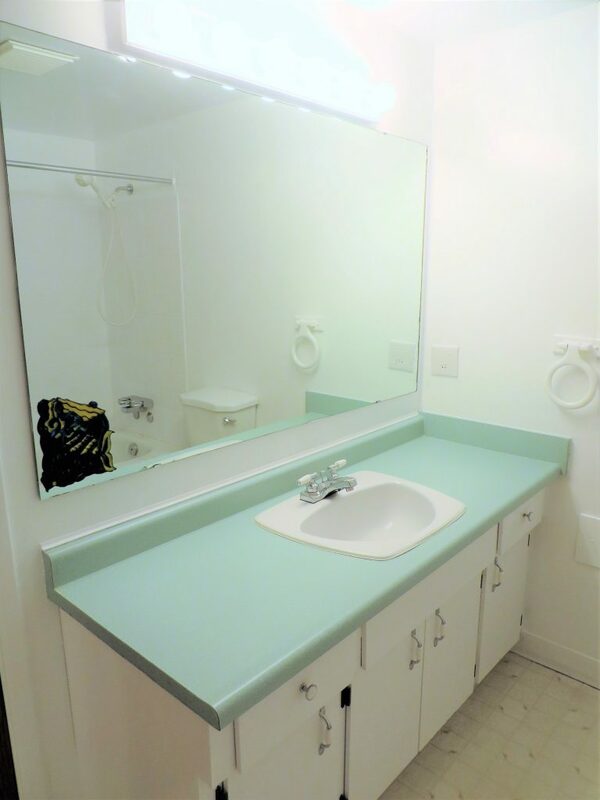 (8’7″ x 5′) Then beside the laundry we have a four piece bathroom featuring a large vanity, a tub-shower combination and white toilet. 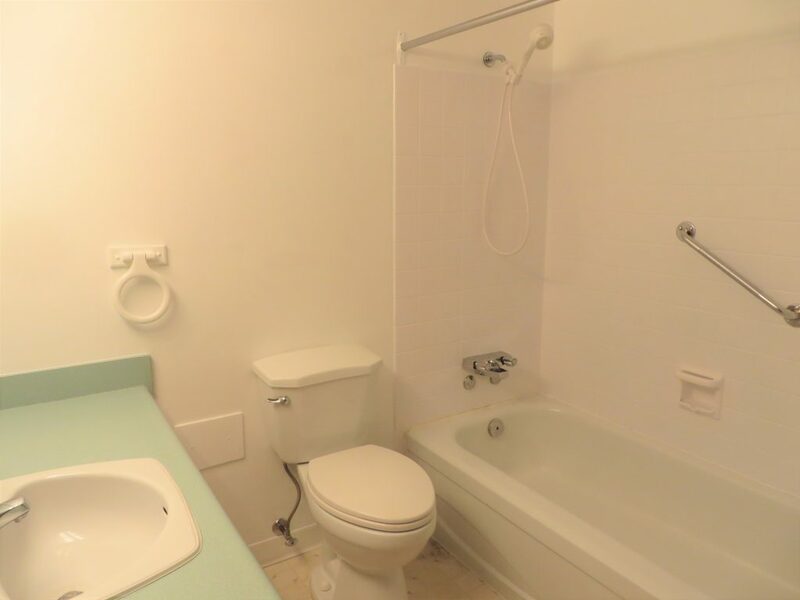 The remaining two rooms are both bedrooms. 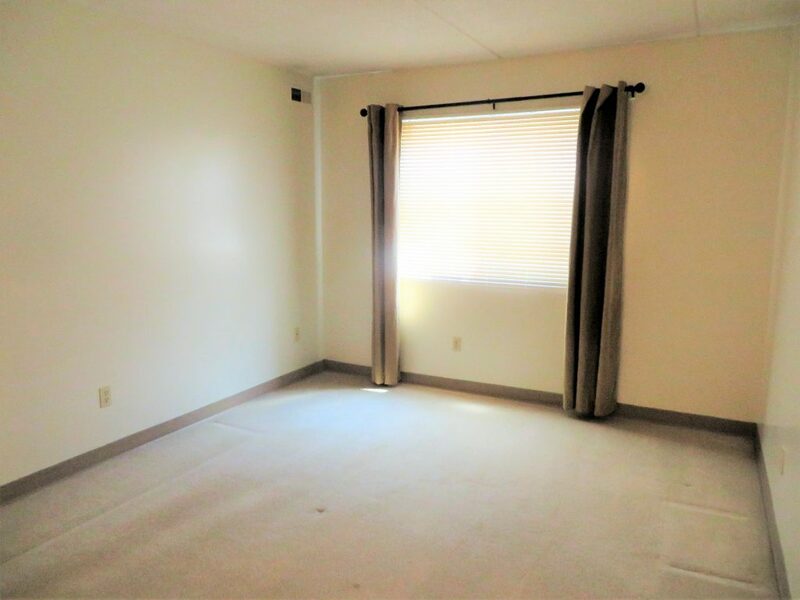 The master bedroom is 15′ x 10’7″ in dimension, includes wall to wall carpeting, a walk in closet, a large makeup desk as well as an East facing window. 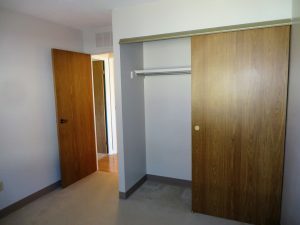 The second bedroom measures 9’7″ x 9’6″ and also features wall to wall carpeting, a large closet and a window looking to the East. 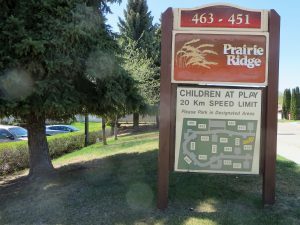 Prairie Ridge is a very well maintained condominium development, the grounds are attractively manicured, the ground floor units have small garden patches that allow you to spruce up your space with some colorful flowers. 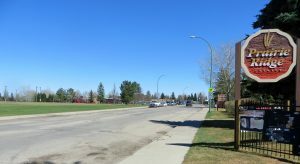 The concrete sidewalks are well maintained as is the paved parking lot and the lawns with underground sprinklers will be quite lush given a little more time this spring. 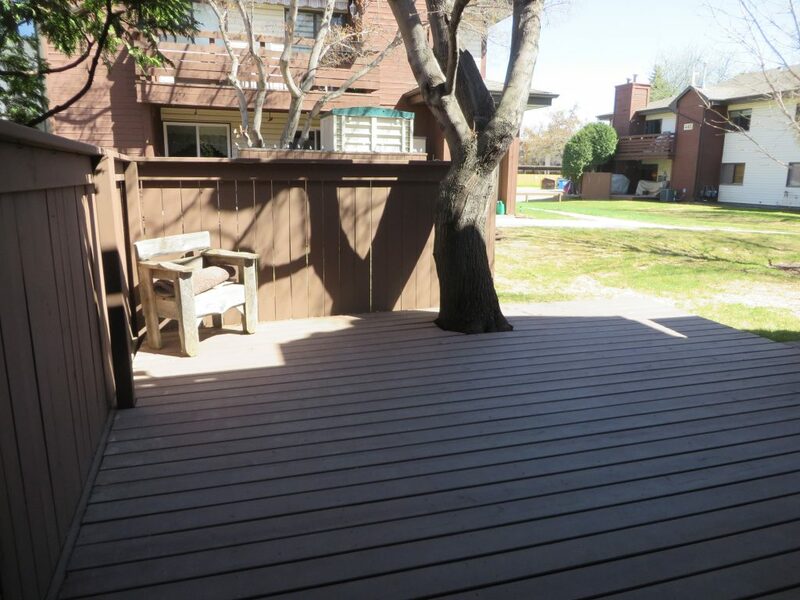 You have your own private deck, allowing you the space to enjoy outdoor barbeques with table and chairs as well as potted plants and lawn furniture. Just a few dozen steps away from your front door you have an assigned, electrified parking stall, #139. 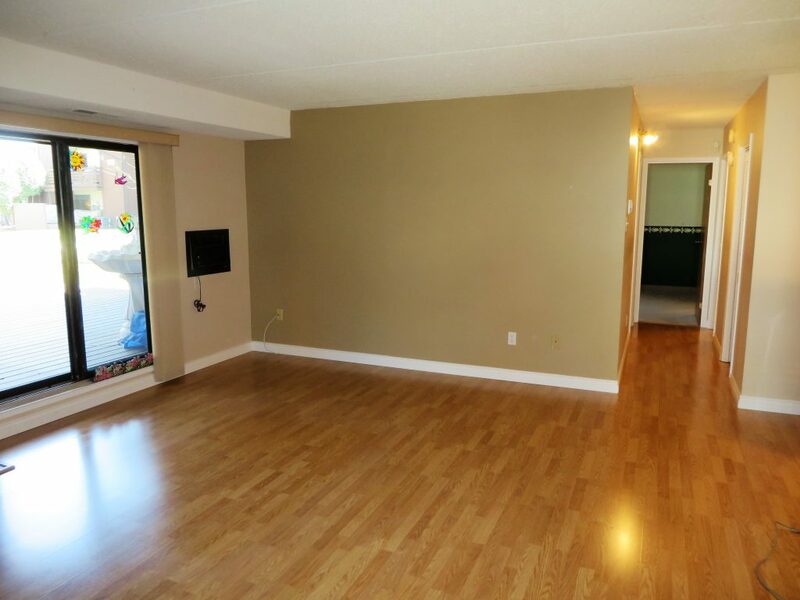 The condominium fees on this property include water and sewer, maintenance, snow removal and a reserve fund, the monthly payment is $357.00 The City of Saskatoon 2018 property taxes are $1,497.54, approximately $125 per month. 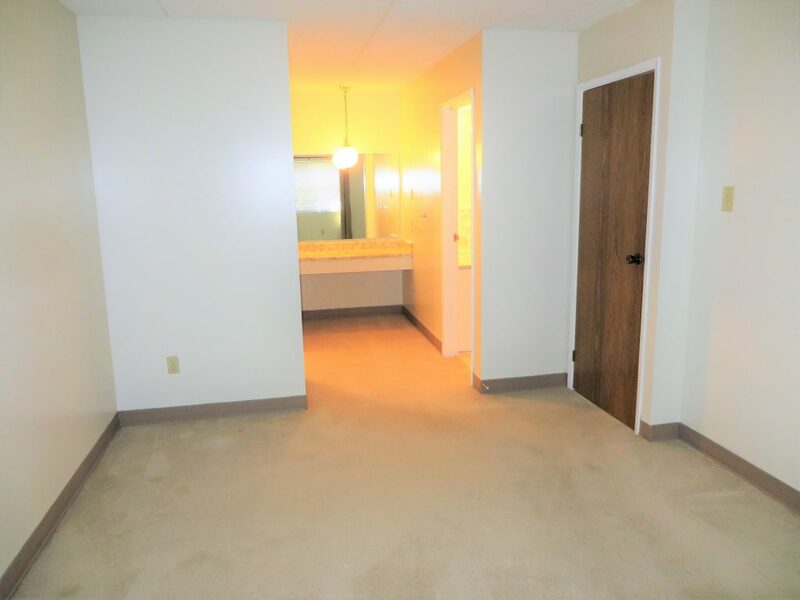 Pets are allowed in the complex with board approval, the property is managed by ICR. Additional photo’s and property details are available at #102 – 457 Pendygrasse Road. 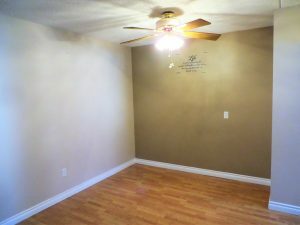 The asking price on this MLS property is $149,900, it is being marketed by Terry Alm with Realty Executives Saskatoon, you can reach Terry at 306-280-0989. You’ve made the decision that it’s time to move out of your 2 story home because going up and down the stairs is getting to be painful. However you still want to be able to entertain the kids and grandchildren. Sunday evening dinners gathered around the dining room table, a modern kitchen that’s big enough that you can prepare Christmas dinner and an extra bedroom for when someone plans a sleepover. 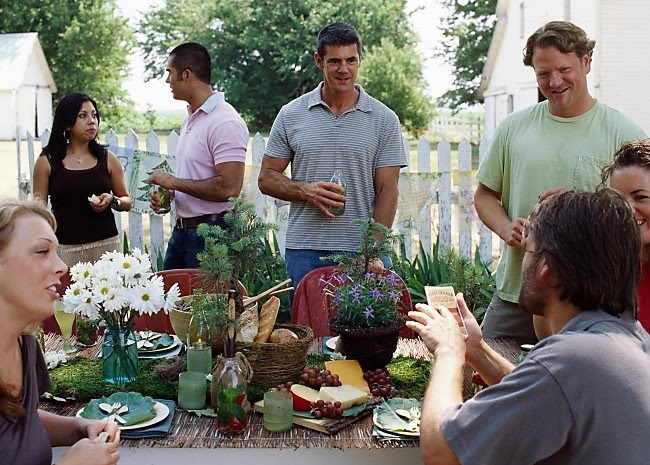 You’ve also decided that you would still like to do a little gardening and have an outdoor deck for when you want to bbq or just enjoy a beautiful summer evening under the stars. Over the decades you’ve grown accustomed to relaxing beside your living room fireplace and you don’t want to give up this luxury, nor being able to watch the Riders from your favorite chair on your big screen TV. 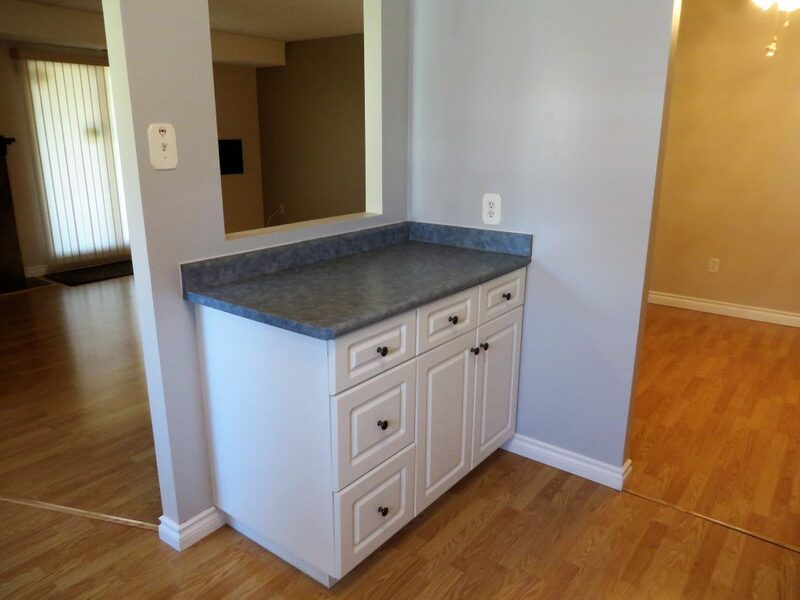 The other must have for you is a big master bedroom with a walk in closet and it’s own makeup table. 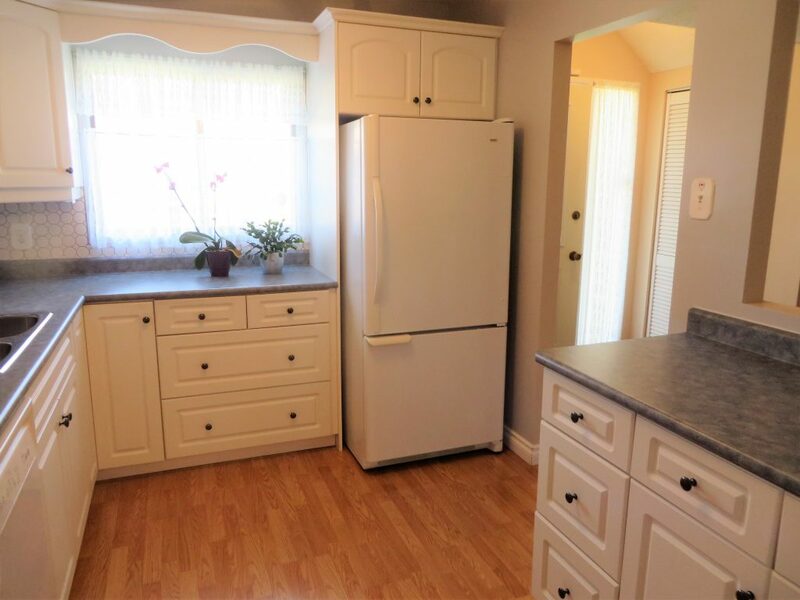 You are choosing to downsize, but you still plan to enjoy life, we have a beautiful solution, please drop by our open house on Saturday March 30th, 2019 between 2 and 4 pm. You will find a map at this link.